Learning something new is a great joy to me. It has occurred to me several times this year that I can become really animated when ‘a penny drops’. This year, 2017 I have learnt A LOT of new things. In my working life my horizons have expanded. I learn something new each day. That can quite tiring. In my yarn life I really wanted to challenge myself with some new skills. For crochet this has definitely been the year of the Granny Square, writing two books and making over 40 projects. In my knitting life I knew I wanted to expand my skill. Back in March I blogged about an excellent workshop I had attended with the fabulous Juliet Bernard. Juliet taught me how to work ‘two-handed’ fairisle and how to steek. She also prompted me to investigate knitting in the round and a more Scandinavian way of making garments. 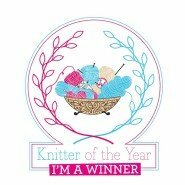 If you are not a knitter, bear with me. 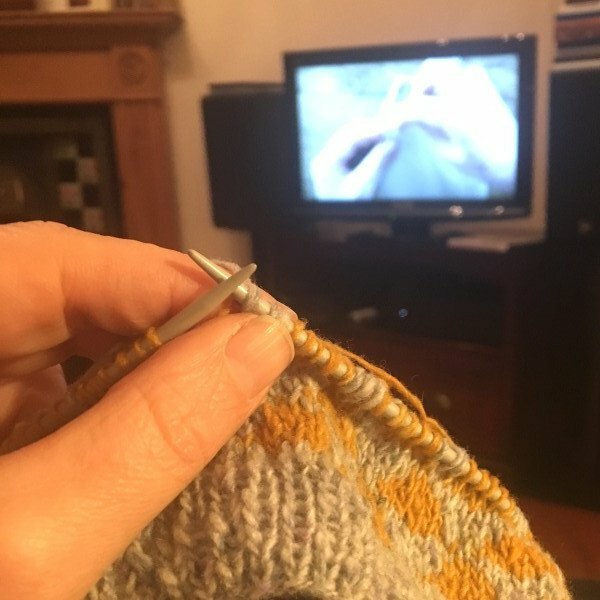 Knitting in the round is either done on one knitting needle with two points connected with a cable, or 4 double pointed needles. This means that you work round in a spiral, you have no seams and because you are just doing the faster knitting stitch, you don’t have to do the slower and more awkward purl stitch. 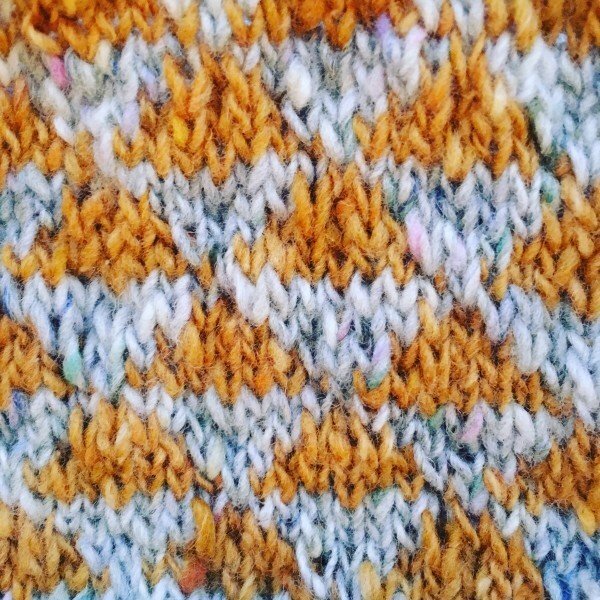 For efficiency and the pursuit of speed I have begun adopting this way of knitting. Well in order to perfect my knitting techniques, Juliet pointed me in the direction of this DVD; 50 Top Tips from Shetland Knitter by Hazel Tindell and Elizabeth Johnston. 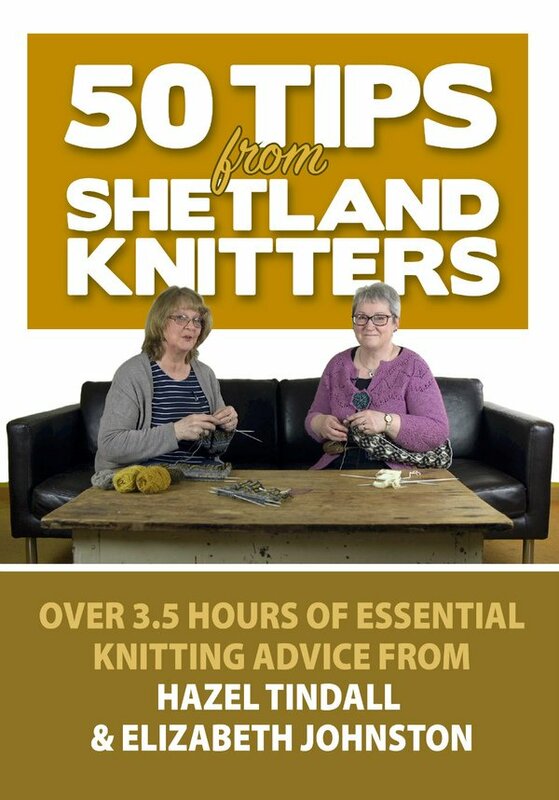 Essentially it is like being part of knit and natter, sitting next to expert Shetland knitters and enjoying a download of all the tips and tricks in concentrated form. I have been knitting for many, many years but I certainly learnt many new things which I have already incorporated into my work. An added joy is to here the beautiful lilting tones of the Shetland accent. My young son couldn’t quite believe I was watching this video. I pointed out that there was not much difference between an expert commentary on knitting to an expert commentary on Minecraft gaming and he seemed satisfied with that. It is possible to buy this DVD form either Hazel’s website here where you can buy the DVD to keep or as a download. I got my copy free to review, if it is any indication as to how helpful I found it I have decided to keep my copy as opposed to giving it away in a competition. I really want to refer back to their tips as I start improving my fairisle knitting. My copy is far too precious. Inspired by the DVD I started a new fairisle project in the round. 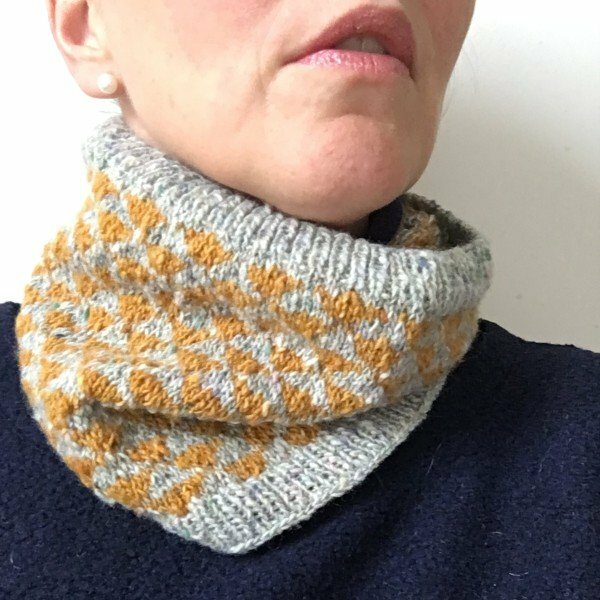 I made a snug knitted cowl with a triangle pattern. The yarn is Debbie Bliss Fine Donegal and I used the patten as way to practice some of the new knowledge I have gleaned from my crash course in Shetland Knitting. 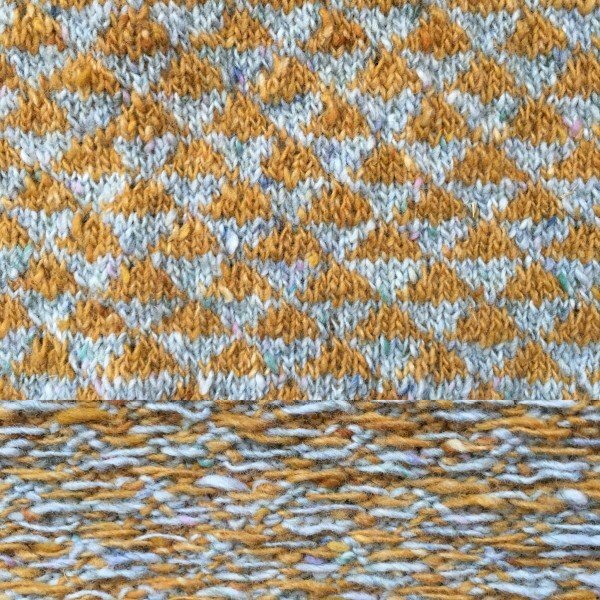 In the image above you can see the right side and the reverse side with the floats from two stranded fairisle. It doesn’t matter how long you have been knitting or crocheting. Everyone of every age can learn something new. The joy of a craft is improving, evolving and experimenting.